Los Angeles, CA, United States (4E) – Kim Kardashian and her kids, as well as her mother Kris Jenner , are all back in Los Angeles after staying in New York City following the Paris attack. Kardashian has been staying at her NYC apartment with her children and her husband, Kanye West, after she was held at gunpoint at her Paris hotel room and was robbed of millions of jewelries . The 35-year-old and her family reportedly left through the backdoor of the apartment she has been renting in TriBeCa then used a side street to avoid the paparazzi. According to reports, before the family departed from the rented apartment, the bodyguards of Kardashian were seen placing lots of luggage inside a black Cadillac Escalade . The personal bodyguard of Kardashian , Pascal Duvier , was spotted entering the apartment. Kardashian and West reportedly left in two trucks and will be traveling together for the whole day. The security was also increased up to 1000 percent, sources said. It is unclear, however, where West is since only Jenner , North and Saint, and Kardashian were spotted at the Los Angeles airport during their arrival from their flight from New York. Kardashian stayed in NYC for four days before deciding to go home. 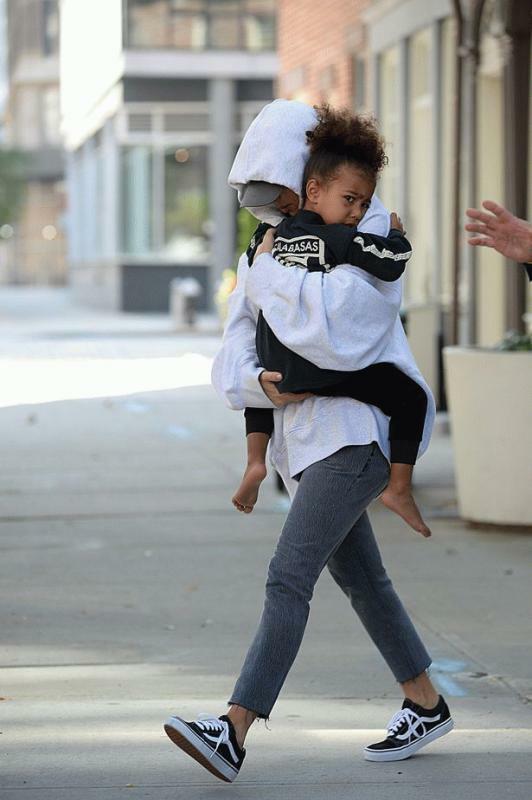 While on their way down from their private jet, North was carried by Jenner while Kardashian carried Saint. Although Kardashian is back in Los Angeles, it was reported that she will not be pushing through with her commitments as of now as she is taking the time of for around a month or indefinitely. She is reportedly still emotional from the ordeal she faced in Paris. Many have been doubting that the Paris robbery is not true but a source close to the family shared, "It's crazy to her that people, even for a second, think she is fabricating this story. She feels like no one understands her and what she been through." There are no updates yet regarding the culprits.